Trade import and export volumes between China and countries from Africa have grown significantly in 2018, but only 15 countries from the continent have benefited from the growth. According to Chinese customs service, most of these countries are located in sub-Saharan Africa, with the exception of Libya. These are Angola, South Africa, Congo, DRC, Zambia, Gabon, Equatorial Guinea, South Sudan, Guinea, Zimbabwe, Eritrea, Namibia, Niger and the Central African Republic. These countries are mainly known for their raw materials wealth. Angola, one of the largest oil exporters on the continent — about $23.5 billion from its trade relations with China in 2018 – tops the list of the biggest beneficiaries. McKinsey, a New York-listed management consulting firm said more than 90 percent of Africa’s exports to China were oil, raw mineral commodities and metals. China has continuously called for the strengthening of bilateral ties with African countries. 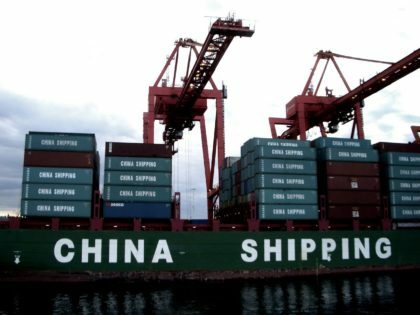 Data from the Department of African Affairs at China’s Foreign Ministry indicate that China-Africa trade has grown from a mere $765m to $170bn over the past four decades – a 200-fold increase. China has also maintained its position as Africa’s largest trading partner for eight consecutive years. During the 2018 Forum on China Africa Cooperation (FOCAC) in Beijing, Chinese President Xi Jinping pledged $60 billion to the continent in loans, grants, and development financing. Xi also announced eight initiatives aimed at improving China-Africa relations, including investments in healthcare, education, security, cultural exchanges, and increasing non-resource imports from Africa.